My design for Inktober day 8 is not the most unique, and it's literally literal, but I adore it and it got tons of compliments! This was a fun design to create too, and I can redo it with any colors. 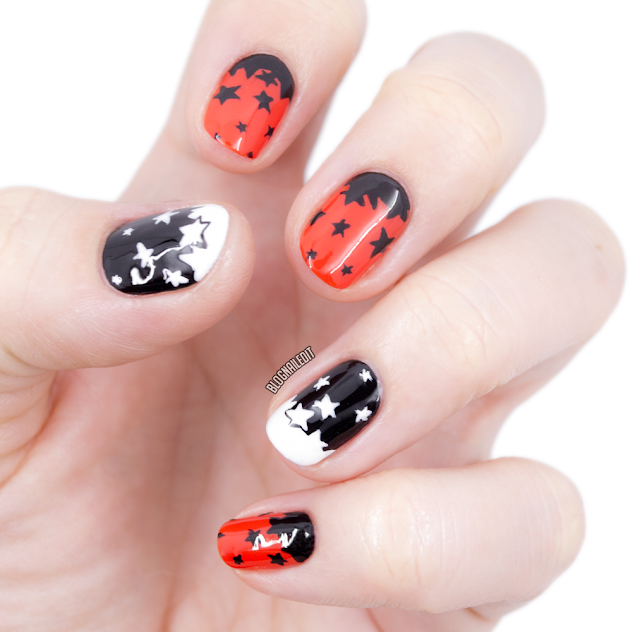 It needed to be a little Halloween-y though, so I used a really pretty orange from Misa called Shoot the Chute. I reached for my fullest and closest black and white, which are essie Licorice and Zoya Snow White, respectively. Now with this posted, I can start planning for tomorrow..."precious". Wish me luck! Those starts are amazing! Love your work.